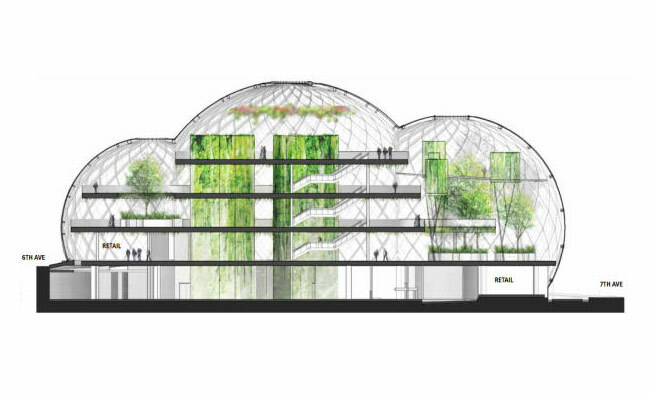 Amazon has this week unveiled plans to build a biosphere style Amazon Seattle campus, releasing PDF documents revealing what the finished building will look like once construction is complete. 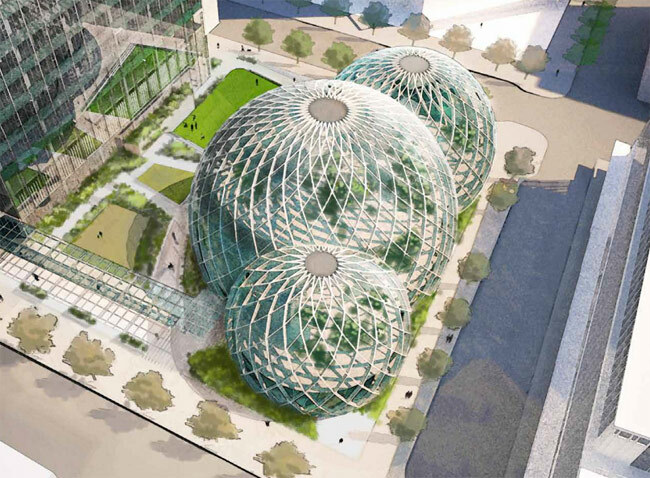 The new Amazon Seattle campus will include a colossal, mirrored, biosphere styled domes, together with a taller rectangular shaped building next door. “While the form of the Amazon Seattle campus building will be visually reminiscent of a greenhouse or conservatory, plant material will be selected for its ability to co-exist in a microclimate that also suits people. To encourage growth and maintain the health of the plants, the building’s interior will include high bay spaces on five floors totaling approximately 65,000 SF and capable of accommodating mature trees. The exterior enclosure will be highly transparent and be composed primarily of multiple layers of glass supported by a metal framework. For more information on the new Amazon Seattle campus jump over to the Seatle Gov website for details.